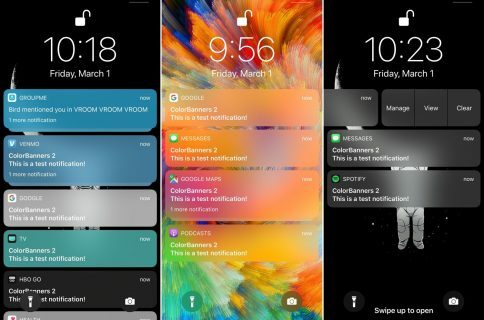 If the iPhone or iPad that you use to listen to your favorite media happens to be jailbroken on iOS 11, then you may want to check out a new free jailbreak tweak called Straw by iOS developer Jake Kaslewicz. 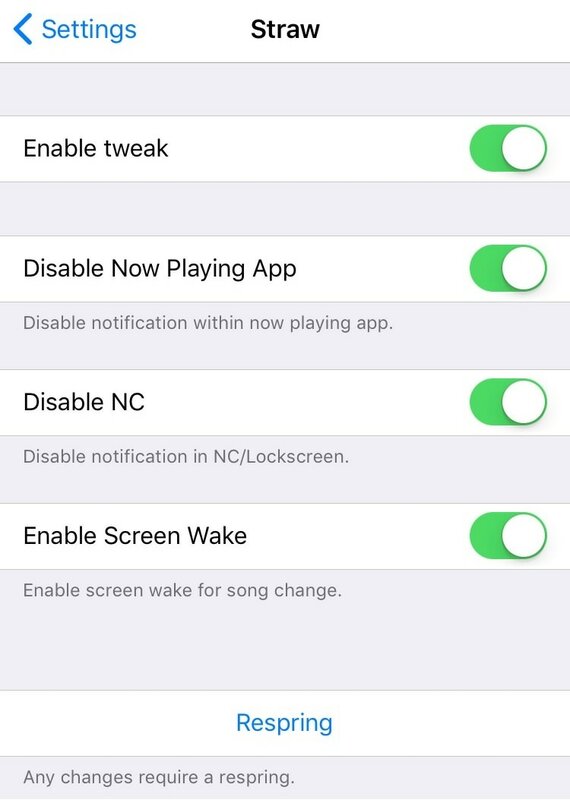 This tweak acts as your own personal song announcer by presenting a banner at the top of your display every time a new track starts playing. As shown in the screenshot examples above, Straw works with both the stock Music app and third-party alternatives like Spotify or Soundcloud. The banner itself shows information about both the new song and the app that’s playing it. The developer incorporates a convenient Respring button at the bottom of the preference pane that you can use to save your changes upon modifying Straw’s settings. While persistent song-change notifications won’t be for everyone, they can be useful if you listen to radio stations and favor a quick way of discerning what’s playing without having to do a lot of legwork on your own. If you’d like to try Straw for yourself, then you can download it for free from Cydia’s BigBoss repository. 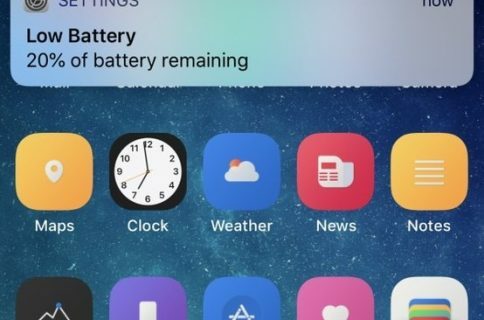 The tweak works on jailbroken iOS 11 devices only. 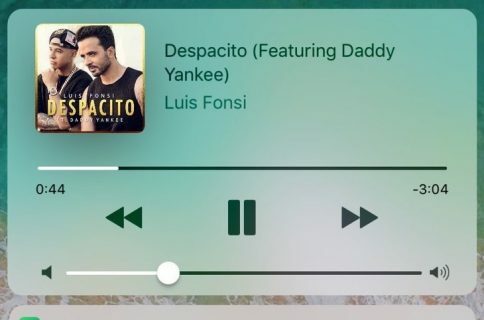 Do you like the idea of receiving banner notifications when a song changes on your device? Share why or why not in the comments section below.